-Develops social campaign materials and content for aligning with social briefs on a monthly basis. -Publishes content across various social platforms including paid activity (ad buying, targeting & segmentation). 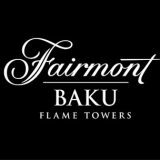 -Supports content creation, execution, posting and writes copy for all content to leverage the Fairmont Baku, Flame Towers voice. -Selects the proper imagery for day-to-day content and larger initiatives. -Works with Design/Photographer team to create custom content. -Article copywriting for digital/print media resources. -Interacts with consumers in real time on various online platforms (e.g., Instagram Twitter, Facebook, etc.) based on a specific strategy and brand-voice guidelines. -Monitors and maintains conversation in social media platforms and brand voice online in a timely and professional manner. -Supports launches of new social media channels. -Tracks competitive activity and best practices. -Remains current with social trends and opportunities for testing. APPLY TODAY: Whether you’re launching your career or seeking meaningful employment, we invite you to visit www.fairmontcareers.com to learn more about Fairmont Hotels & Resorts and the extraordinary opportunities that exist!